Michael Drayton. Drayton, Michael, painting. The Library of Congress. In late-seventeenth-century estimates of literary stature, Michael Drayton ranks only slightly below Sir Philip Sidney, Edmund Spenser, and Ben Jonson. Until the middle of the twentieth century, Drayton’s position as an important minor poet seemed secure, but his lengthy historical poems did not lend themselves to the techniques of close reading popularized during the vogue of New Criticism in the 1940s and after. By the end of his life, the didactic verse and historical epics upon which Drayton had lavished so much care no longer commanded an audience. Few documentary sources exist for the life of Michael Drayton, and even those that have survived and can be verified are not very revealing. Drayton’s remarkable historical self-consciousness, however, enabled him to understand and to record in his works the changes in the role of the poet that occurred during his lifetime. Elizabethan Beginnings. Michael Drayton was born in the vicinity of Hartshill village, Warwickshire, early in 1563. His origins were humble. His social status was inferior to that of William Shakespeare and well below that of Edmund Spenser or Samuel Daniel, both of whom went on to earn university degrees. Early-twenti-eth-century editors and critics who studied autobiographical anecdotes gleaned from his works, however, constructed a gentrified version of his life. Dedications, which he intended as bids for patronage, were interpreted literally as factual records of his social standing. Drayton’s account of his education offers no particulars. His ‘‘milde Tutor’’ might be anyone from a clergyman who educated promising village children to the schoolmaster of a grammar school. No seventeenth- or eighteenth-century biography mentions connections between Drayton and the Goodyers. However, in the late nineteenth century Drayton’s allusion was interpreted as a real reference to Sir Henry Goodyer and was used to construct—invent, ultimately—an idea of him as having had a privileged childhood at Polesworth, Sir Henry’s country manor. Experimental Years. Whatever his actual childhood might have been, by 1590 Drayton was probably located in London. After publishing The Harmonie of the Church, verse translations from Old Testament prayers, in 1591, he experimented with a series of poetry genres between 1591 and 1595. It is significant that not one of these early works is dedicated to the Goodyers, and a pastoral collection, Idea. The Shepheards Garland (1593), is dedicated to Robert Dudley. His experimentation with historical complaint, Peirs Gaveston (c. 1594), is dedicated to Henry Cavendish. His practice with quatrains and couplets, Ideas Mirrour (1594), is dedicated to Anthony Cooke. And Matilda (1594) and Endimion and Phobe (1595)—both narratives—are dedicated to Lucy Haring- ton, later Lucy Harington Russell, Countess of Bedford. This profusion of formal experiments and dedications offers contemporary readers a significant view into the sort of poetic apprenticeship a promising young writer of verse could expect in the late sixteenth century, as well as into the dynamics of patronage during this era. The patronage system, which continues to some extent today through various private and public fellowships for artists and scholars, allowed individuals to pursue their artistic talents—even if, like Drayton, they were not independently wealthy—and was a major feature of the fine arts right up into the twentieth century. As Drayton’s life shows, however, the patronage system also involved a good deal of currying favor, and favor won could always soon be lost again. The Peak of Popularity. Drayton’s poetic promise is realized fully in Englands Heroicall Epistles (1597), his most popular work. The poem consists of eighteen letters in rhymed couplets exchanged between couples who played important roles in English history (for example, between Mary Tudor and Charles Brandon, and between Guilford Dudley and Lady Jane Grey). In 1598 and 1599 Drayton added to the collection, bringing the total number of epistles to twenty-four. He also intended Englands Heroicall Epistles as both a major bid for patronage and an effort to retain the patronage he then had. His earlier works had each contained one dedication, but this poem contains nine dedications, one for each set of epistles—and each aimed at potential new patrons. Drayton clearly remains most interested here, however, in retaining the patronage of Lucy, Countess of Bedford, and her husband, Edward Russell, Earl of Bedford. An Effort to Gain the King’s Patronage. Prior to the end of Queen Elizabeth’s reign, Drayton revised Mortimeriados as The Barrons Wars (1603). The Barrons Wars were fought first against the despotic King John (from 1215 to 1217) and then against Royalist forces led by Prince Edward I in 1246 (and lasting three years). Both wars reflected the rise of nonroyal interests in England, and the first resulted in the Magna Carta, considered by many the founding document for modern democracy. In seeking favor, if this is what he was doing, Drayton was certainly also risking royal displeasure with this allusion to the end of absolute monarchy in Britain. All the same, in 1603 Drayton also welcomed King James with a poem entitled To the Majestie of King James, and in 1604, probably also in hopes of gaining James’s favor, he wrote the first of his divine poems, Moyses in a Map of his Miracles. James was known to enjoy theological debate and to favor biblical verse. These bids for the king’s patronage were unsuccessful, however. Drayton never received and never again sought favor from the Jacobean monarch. He addressed no verse to James after A P&an Triumphall (1604), entered in the Stationers’ Register on March 20. Losing Lucy’s Favor. By the time James succeeded to the throne, Drayton had lost the favor of Lucy, Countess of Bedford for reasons unknown. On April 23, 1603, when James was welcomed and entertained at the Harington family estate, Samuel Daniel’s A Panegyrike con- gratulatorie to the kings majestie (1603) was the poetic work presented to the king—under Lucy’s auspices. Lucy also arranged for Daniel to present his play The Vision of the Twelve Goddesses at Hampton Court on January 8, 1604, and also promoted Ben Jonson’s efforts to gain recognition by the court. As Daniel and Jonson became increasingly favored literary figures at court, Drayton must have realized that he had little chance of regaining Lucy’s favor, but he cannot have foreseen how powerful the countess would in fact become; in the course of events, she came to be the second-most powerful woman at court, just after the queen herself. Once he did understand that he would be ignored by the court, Drayton launched a breathtaking attack on Lucy, reprinting Idea replete with calculated insults. He retains a shortened version of his complimentary references to Mary Sidney, but portrays Lucy as Selena, a faithless patroness. Losing Another Patron. In 1612 Drayton’s Poly-Olbion appeared. The work, an attempt to preserve in verse the history and geography of Great Britain, was dedicated to James’s heir, Prince Henry, who seemed to many the royal family member who most symbolized Elizabethan values. Drayton’s bid for favor was successful this time, with Henry’s household accounts showing grants of pensions of ten pounds to Drayton, but fate intervened: Prince Henry died on November 6, 1612. A Humble End. After a series of moderately, though not wildly, successful years, Drayton’s final folio appeared in 1630 under the title of one of his finest poems, The Muses Elizium. The collection is dedicated to Edward Sackville, fourth Earl of Dorset. In his dedication Drayton says that the constancy of Sackville’s favors since they first began ‘‘have now made me one of your family, and I am become happy in the title to be called Yours.’’ This heightened rhetoric, however, should not be interpreted literally, since there is no evidence that Drayton received any more patronage from Dorset than did other poets such as John Donne, Jonson, and Robert Herrick. Miguel de Cervantes (1547-1616): The Spanish novelist and poet considered to have written the first novel, and one of the most important literary works in history: Don Quixote (1605). Galileo Galilei (1564-1642): An Italian physicist, mathematician, philosopher, and astronomer who was instrumental in the scientific revolution. Mary Queen of Scots (1542-1587): Queen of the monarchy of Scotland, she was also queen consort in France and is best known for her imprisonment and execution for treason. William Shakespeare (1564-1616): An English (Elizabethan) playwright and poet, he is typically described as the greatest writer of all time. Robert Naunton (1563-1635): An English politician and writer. His valuable account of Queen Elizabeth's reign, published as Fragments Regalia, or Observations on the late Queen Elizabeth, her Times and Favourites, (1653) was still in manuscript form when he died. Varied Styles and Themes on the Value and Death of Poetry. Drayton experimented with a series of subgenres including the pastoral, the sonnet sequence, and the minor epic. He related these efforts as repetitions of ‘‘Idea’’ in the title of each of the Idea works. Drayton also worked with mythological narratives and historical complaints. His writing was done not only with the intention of gaining patronage but to give vent to Drayton’s criticisms of the Jacobean court, the craft of poetry, and the destructive nature of having to secure patrons for his craft’s survival. In his 1593 Idea. The Shepheards Garland, Fashioned in Nine Eglogs. Rowlands Sacrifice to the Nine Muses, for example, Drayton devotes nearly a third of one eclogue to a scathing denunciation of how literary clientage can corrupt poetry. The Disappearance of the Heroic. An intellectual heir of the humanists, Drayton believed in the tradition of bonae litterae (fine writing) and envisioned the poet as a spokesman for public values. Drayton’s images and diction—in Rowlands Sacrifice to the Nine Muses, for instance—emphasize the social function of poetry and its political importance. The Muses Elizium (1630), his last pastoral and critical statement on the craft of poetry, however, forecasts that true poetry would die out. He seems to have concluded that epic poetry could no longer be written with conviction since heroic values had disappeared from life and art. Drayton prophesied a bleak future for England and no future at all for the kind of poetry he had spent his life writing. Poets, he implied, would turn to romantic escape and satire. Biting satire filled with topical allusions—like The Owle (1604)—was apparently the disillusioned poet’s last resort. His one surviving portrait even depicts him as a satiric laureate: Represented as wearing the traditional laurel wreath of the poet in the frontis-piece to the 1619 folio edition of his works, he is portrayed as frowning in disapproval. ''Ars Poetica?'' (1961), a poem by Czeslaw Milosz. In yet another version, this poet adds his attempts to define poetry. ''American Poetry'' (1963), a poem by Louis Simpson. In this brief but vividly wrought poem, the speaker defines poetry. ''Theme for English B'' (1951), a poem by Langston Hughes. In this poem, the speaker responds to a vague writing assignment. The twentieth-century gentrification of Drayton had established the grounds for critical approaches to his work. Poems that did not fit the mild and inoffensive image constructed for Drayton were overlooked or dismissed. His numerous assaults on title and privilege were ignored because they did not ring true as the docile reflections of a ‘‘goodly page.’’ This has shifted in recent times, however, as scholars have come to see the thunderclouds bristling throughout Drayton’s many meditations on writing and on the patronage system in England. Englands Heroicall Epistles (1597). Englands Heroicall Epistles was the most popular of Drayton’s works in its own time. In verse, Drayton successfully interweaved fiction with history while contributing to a genre that had as yet attracted few English practitioners. The work addressed themes of political importance to Drayton’s audience. In the 1597 version each of the paired epistles involves at least one monarch, sometimes two, and each set of epistles after the first two concerns the deposition of a monarch (reigns of Edward II, Richard II, Henry VI) or a struggle over the succession. Recent critics have suggested that these letters must be seen not only as comments on history, but as comments on themselves as well. 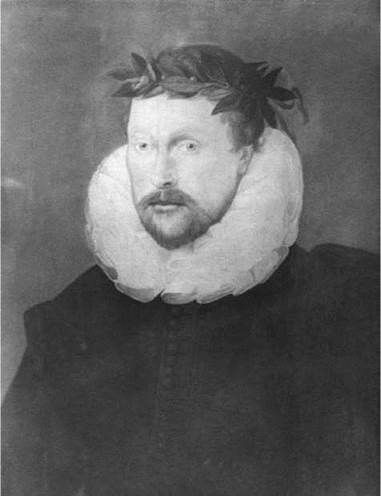 Georgia Brown, for example, argues in Redefining Elizabethan Literature that they ‘‘are not only forms of commemoration, they are also forms of self-dramatization which draw parallels between the content of the poem and the content, or personality, of their author.’’ In another vein, Stanley MacKenzie observes that Englands Heroicall Epistles’ Mistress Shore is ‘‘a woman who understands the transforming power of literacy and uses it to negotiate freedom,’’ making her an ‘‘unforgiveable threat to patriarchal stability.’’ Gone now is our vision of the pleasantly dull, middle-class Drayton, replaced with an understanding of the poet as subtly engaged with and challenging to the gender, property, and poetic structures of his time. 1. The practice of patronage in the arts has been common for centuries. In Drayton’s time, his life depended upon finding patrons to finance his poetry. Explore this practice further, first by finding examples of other writers, poets, and artists who relied on it in Great Britain, then by considering the practice as it existed in other cultures and periods—Japanese, the Church, the National Endowment of the Arts today. 2. You may be an artist or writer who will be considering how to obtain funding soon, or you may imagine you will be. Come up with a ‘‘service’’ or ‘‘sales pitch’’ and then consider a patron capable of supporting your art. (Oprah Winfrey is famous for taking solicitations for her donations.) Write a ‘‘dedication’’ that will win your potential patron’s favor. 3. Write a letter or dedication of thanks to someone who has supported you. The support can be financial, emotional, or otherwise; and the person you thank can be a relative or even yourself (if applicable). Try writing in the style of Michael Drayton, using excessive flair. 4. Look at the way that Englands Heroicall Epistles combines history with fiction, and compare the techniques used there to those of a modern piece of art that seeks to achieve the same aims. What general human needs and drives, if any, do both pieces enact through their fictional negotiations of history? Compare concrete techniques or details from the two pieces. Buxton, John. A Tradition of Poetry. New York: Macmillan, 1967. Elton, Oliver. An Introduction to Michael Drayton. 1895 reprint. Whitefish, Mont. : Kessinger Publishing, 2007. Hardin, Richard F. Michael Drayton and the Passing of Elizabethan England. Lawrence: University of Kansas Press, 1973. Patterson, Annabel. Censorship and Interpretation: The Conditions ofWriting and Reading in Early Modern England. Madison: University of Wisconsin Press, 1985. Project Gutenberg. Drayton, Michael (1563-1631). Retrieved March 18, 2008, from http://www.gutenberg.org/browse/authors/d#a6061. Luminarium. Michael Drayton 1563-1631. Retrieved March 18, 2008, from http://www.luminarium.org/renlit/drayton.htm.